Fees associated with filing industrial design applications in Malaysia, as well as other design fees, are available in the fee calculator. The industrial design application in Malaysia may be filed in respect of several design embodiments, provided they relate to the same class of the International Classification for Industrial Designs or to the same set or composition of articles. - details of any priority claim (number, filing date and country). The original POA form must be submitted simultaneously with filing a design application in Malaysia. Legalisation or notarization is not required. However, if the representation of the POA is not available, current practice allows filing a certified copy of the signed form, provided the original follows later. The сertified сopy of the priority document may be requested by the Registar and should be filed within the specified period. The patent is granted after the formal examination of an industrial design application. Neither search nor substantive examination of the design application is conducted. However, in practice, objections of a substantive nature (for example, whether a design complies with the legal definition of designs in Malaysia) may be raised in some cases. The novelty grace period in Malaysia constitutes six months before the filing date. If the application became available at the official or officially recognized exhibition or the disclosure was made in bad faith by any third party, it does not disprove the novelty of the design in Malaysia. No official grant fee is required to be paid. 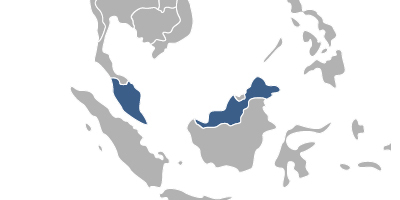 The validity term for a Malaysian design is five years from the filing date or priority date. The application can be renewed for four further five year periods, giving a maximum term of 25 years. The renewal fee may be paid up to 6 months before the expiry date of the current period of registration. It is also possible to make a late payment, not more than six months after the expiry date, subject to a late payment penalty fee. The granting period does not usually exceed twelve months from the filing date. Foreigners must appoint an agent, a registered Malaysian patent attorney to perform the industrial design registration in Malaysia. Online database for Malaysian Industrial Designs. Please contact us if the above information contains any discrepancies with Malaysian IP Laws.